1. Cook bacon and olive oil in a saucepan over low heat. 3. 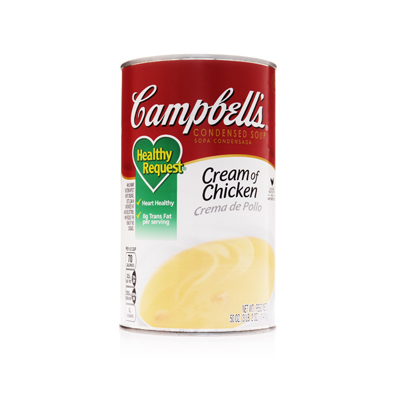 Add sundried tomatoes, water and Campbell’s Healthy Request®Cream of Chicken Condensed Soup, bring to a boilthen reduce to a simmer for 5 minutes. Serve warm. For more flavor, use sundried tomatoes in olive oil. Reconstitute dry sundried tomatoes with hot water. 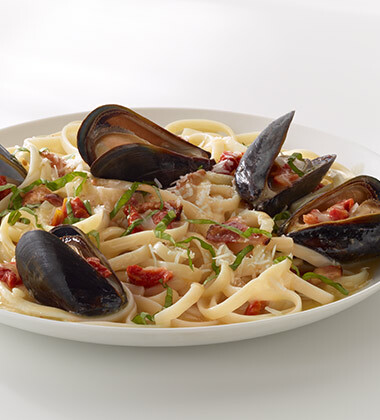 Don’t drain bacon fat – it adds great flavor. Try turkey bacon and drain for a low calorie sauce. If using cooked bacon, add after sautéing the onions and garlic. Great with seafood, pork, chicken breast, leg and thigh. <Also a wonderful pasta sauce, great with vegetables, or add eggs and make into a quiche.